Renting venues or properties for any event? We gives you the tools to make your properties stand above the crowd. 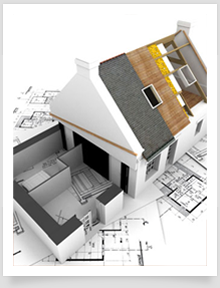 Create great images for your brochures or embed floor plans seamless within your website or other portals. Create tradeshow, corporate meetings, after-hours lounges, wedding banquets and more. If you are an event manager with more sophisticated needs, take it to the next level and upgrade to the ExhibitCore Manager. In addition to floor plan capabilities, ExhibitCore Manager is an easy cost-effective way to handle all of your event management needs. Our software makes is easy to keep track of every detail of your events with features such as inventory tracking, tasks, budgets, deadlines, and much more. You can even submit your own custom inventory to be added to your account. As an event planner, you need to both create and share your plans with your clients. This is the perfect edition for anyone needing that flexibility. ExhibitCore Floor Planner allows you to easily plan your event and share your plans directly from your web site, blog, facebook or email. Advanced inventory management & tracking system. Plan an entire year of events, budgets, and resources. 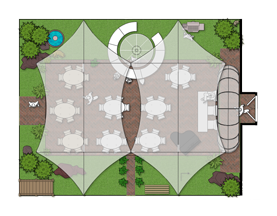 Easily space plan your event, tradeshow, or room. Very easy to use so anyone can started right away. No prior CAD or software experience necessary. Save your layouts and retrieve them later. Print to PDF and email or save to your computer. Share layouts on facebook and other social media websites. Shop for vendors on specific products and compare. Contact one of our friendly experts at 407-574-4765 to answer any questions you have. Launch ExhibitCore FloorPlanner! sign up now!